For the past few weeks, our flower field has been overflowing with abundant blooms, colors, and several kinds of bees and pollinators. 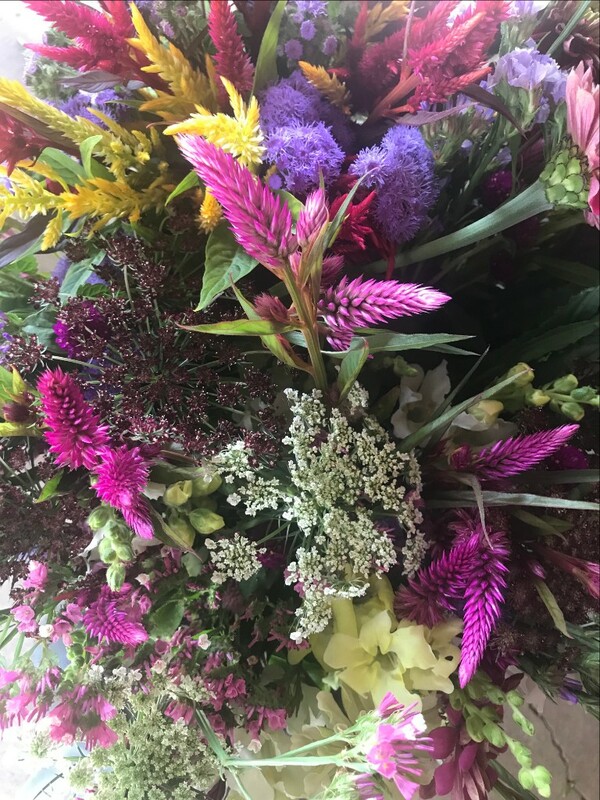 It always make me happy to hear about flowers brightening every room in a shareholder’s house and to watch CSA members carefully selecting their weekly blooms to create a beautiful bouquet. Last week our flowers really made the rounds! They were the setting for LexFarm’s Party in the Petals this past Sunday, a benefit event for our food access work. They made an appearance at last week’s Art-A-Blooming event, a collaboration between LexArt and the Lexington Field and Garden Club. 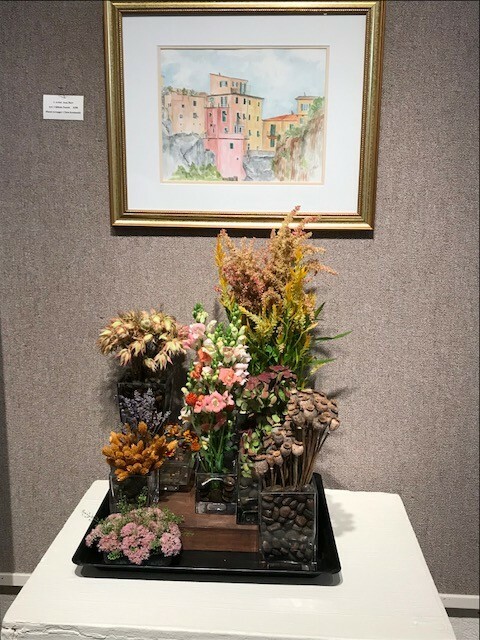 Chris Kochanski, a member of the Garden Club, used LexFarm flowers in her arrangement interpreting a painting by Jean Hart (photo above left)! They’ve been adding color to our farm stand counter, where Momoko arranges bouquets available for all to purchase (photo above center)! I even got to wear our LexFarm flowers, when Momoko made me a flower crown for my birthday last week (photo above right)! 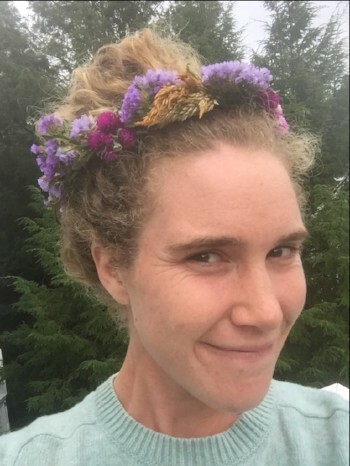 To learn how to make your own flower crown, stop by her booth at Harvest Fest this Sunday. If you haven’t yet this season, take a walk through our flower field! It’s especially lovely during the golden hour, just before the sun sets.